ACCREDITCON | Information for ACCREDITCON Registration Payment Processing, Attendee Refunds, Pricing and more. 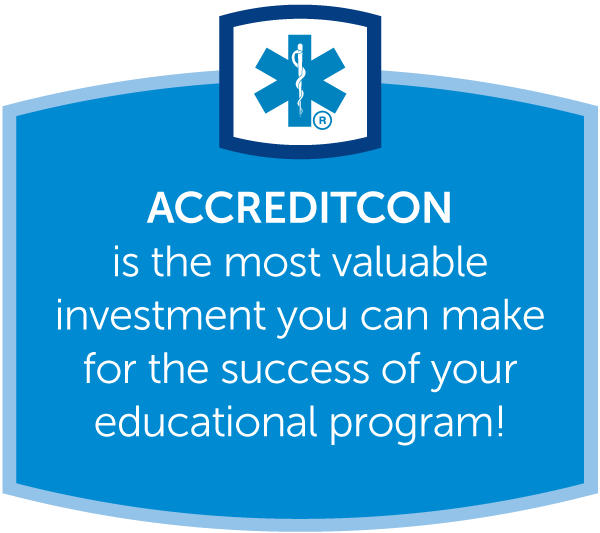 Registration for ACCREDITCON incurs an obligation on your part to complete the registration process, including paying registration fees. Registrations may be paid immediately by credit card, within ten (10) days by check, or within thirty (30) days by purchase order. When fees are paid by check or purchase order, an invoice will be sent by email with a request for payment. Registrations submitted with payment by check require payment within ten (10) days of submission. Registrations submitted with payment by purchase order require payment within thirty (30) days of submission. Registration fees not paid by the above deadlines will result in the registration being removed from the registration roster. All registrations must be paid in full upon commencement of conference proceedings. If you fail to cancel prior to the cancellation deadline, registration fees are non-refundable. If you register for ACCREDITCON, but do not attend and do not cancel prior to the cancellation deadline, you are still liable for the registration fees. Registrations must be postmarked by January 31, 2019 to receive the early registration rate and April 30, 2019 to receive the regular registration rate. Registration fees not paid by due date will be charged at prevailing rate. By submitting the Guest Registration form you agree to the credit card charges submitted for payment of the registration fees for ACCREDITCON. Charges will appear as Sladek Conference Services, Inc. If registration is made by check or purchase order, you agree to be responsible for the charges whether or not you attend ACCREDITCON. No refunds after May 3, 2019. Before May 3, 2019, refunds are subject to a 20% administrative fee. Refund requests must be made by email to accreditcon@scs-events.com. You may transfer your registration to another person without penalty provided you inform Sladek Conference Services, Inc. by email at accreditcon@scs-events.com by May 10, 2019. By registering for ACCREDITCON, you agree to have your likeness reproduced. Guests assume all risk incidental to participation in all activities, loss or damage to property, and release management, it’s employees and agents against all claims.